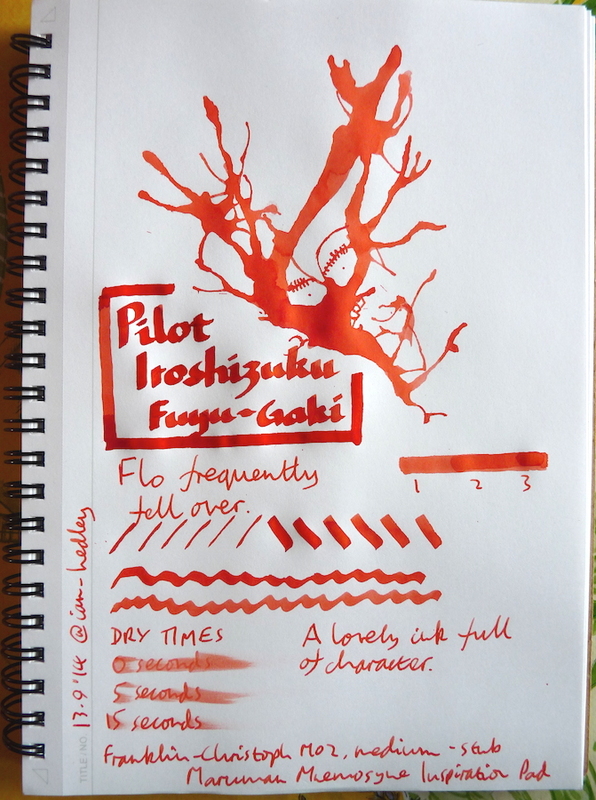 Pilot Iroshizuku Fuyu-Gaki ink review – Pens! Paper! Pencils! What an interesting colour this is! Red and orange and peach all going on at once. It’s very lovely and full of character. It also dries quite quickly. 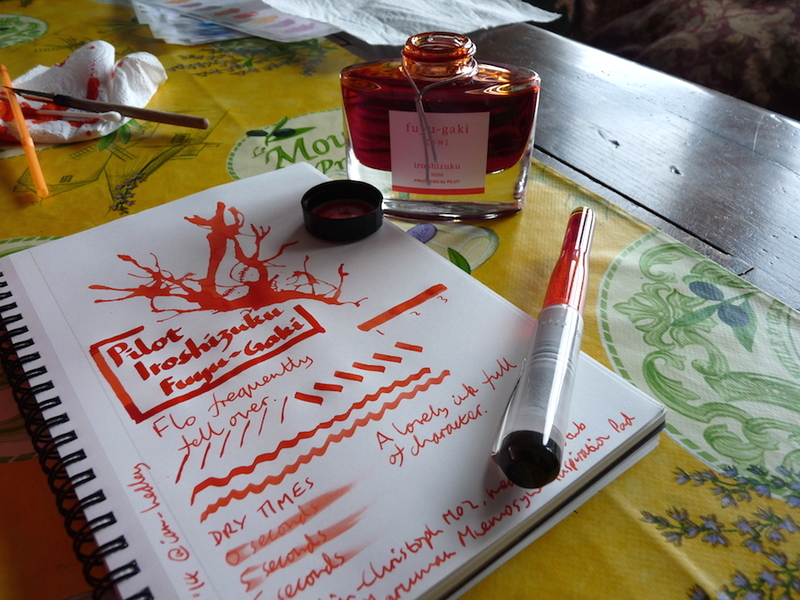 You can find some more in depth reviews of Iroshizuku Fuyu-Gaki on Pennaquod.